Deepika Padukone and Irrfan Khan played the other lead roles in the film and Amitabh Bachchan has been overwhelmed with the response she received for his performance in the film. After the stupendous success of Piku, Big B has been in the hunt for similar roles which bring acclaim. Talented filmmaker Vidhu Vinod Chopra is undoubtedly the leading filmmaker in Indian cinema currently as he scored massive hits in his career as a producer. Munnabhai series along with 3 Idiots and PK ended as massive hits which impressed all the sections of the audience. Aamir Khan’s PK is the highest grossed Indian film till date and the movie got critical acclaim which has been directed by Rajkumar Hirani. Vidhu Vinod Chopra has been penning a script from some time and he wanted a director who can narrates the film in an engaging way. Talented and critically acclaimed filmmaker Bejoy Nambiar directed films like Shaitaan and David which failed to mint money but they have been lauded well by the critics. He has taken the responsibility to direct the script of Vidhu Vinod Chopra with relevant changes. The movie started shoot in 2015 and Amitabh Bachchan along with Farhan Akhtar have been roped in to play the lead roles in the film. Aditi Rao Hydari played the female lead in this revenge drama which is said to be a thriller. The theatrical trailer of the film received huge response which increased the expectations on the film. The film has been titled as Wazir which has been made on a budget of Rs 30 crores. Wazir released all over on January 8th across the world and the film received a decent response from the audience. The flick collected Rs 5.57 crores on its opening day with its decent release. The movie stood strong during the weekend and dipped down on weekdays. Wazir collected Rs 18.87 crores in the first three days among the domestic circles. The movie collected Rs 13.5 crores in three days overseas. The movie collected Rs 37 crores in 11 days of its box-office run across the country. The movie collected Rs 17.66 crores among the International circles and the film collected Rs 54.66 crores across the world in 11 days. 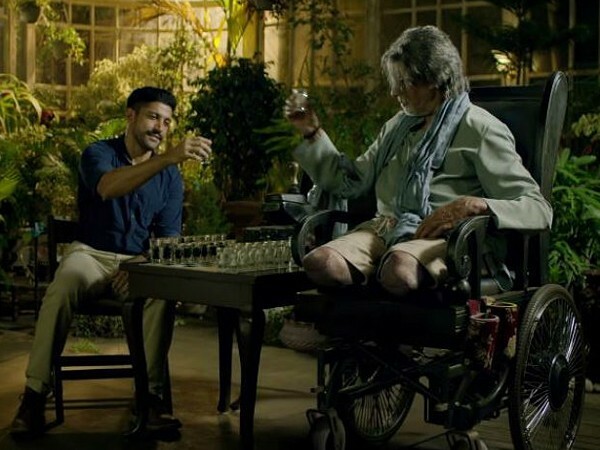 Amitabh Bachchan and Farhan Akhtar’s performances along with Bejoy Nambiar’s stupendous narration have been well appreciated and Wazir has been produced by Vidhu Vinod Chopra on Vidhu Vinod Chopra Films.